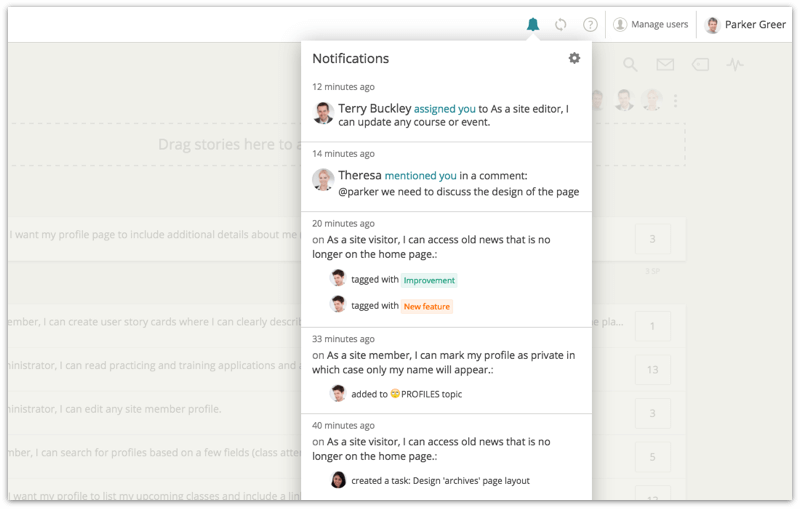 Scrum Mate integration with Slack notifies your team members of personal messages and publish board and backlog events to a specified Slack channel. Scrum Mate is designed to provide teams with a clear picture of what needs to be done, who should do it, and what we have already achieved. 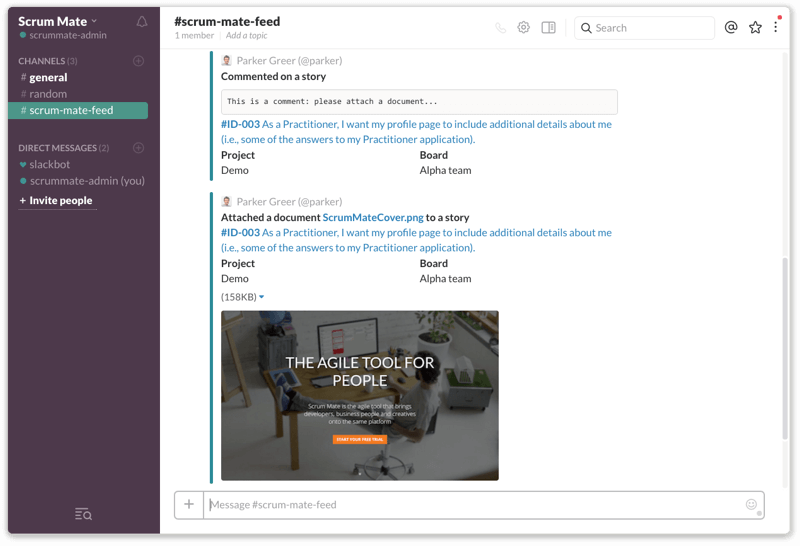 With Slack Scrum Mate integration, teams can use Slack as a unified communication channel for project status updates and personal interactions. There are several events in Scrum Mate that may deserve your attention. You can choose to receive those notifications via Slack direct message. Here are the events that will trigger a direct message if you want.